The 2018 Miami auto show is scheduled for Oct. 5-13 at the renovated Miami Beach Convention Center, show organizers announced. Last year, Hurricane Irma prompted the cancellation of the show days before the opening. 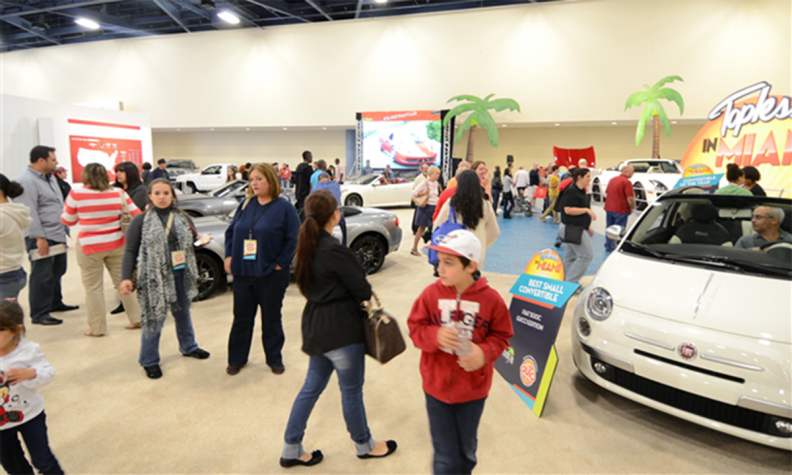 It was the show's first cancellation in 47 years, Richard Baker, president of the South Florida Automobile Dealers Association, which organizes the annual show, told Automotive News. "To many, the show's cancellation was a great sense of loss. But, now that the renovations to the Miami Beach Convention Center are nearly complete, we expect this year's auto show to be the best ever," Baker said in a statement. The convention center is undergoing a $620 million renovation and expansion project that is slated to be completed by September. The renovated center will provide 188,000 square feet of floor space. The press day will be Oct. 5, and the public show will commence at 5 p.m. that day.